Last week, the High Court rejected a claim for judicial review, brought by the NGO ‘Campaign Against the Arms Trade’ against the Secretary of State for International Trade, regarding the exporting of arms to Saudi Arabia. The judges presiding over the case were Lord Justice Burnett and Mr Justice Haddon-Cave. It is argued here that there are several important questions to be asked about the approach to judicial deference taken in this case. They relate to the ‘behind-the-scenes’ role that deference may have played in the judges’ approach to complex factual material in this case, and the extent to which further clarity, as to the treatment of such material in future cases, may be desirable. The central issue in the case was whether the Secretary of State for International Trade is obliged by law to suspend extent licenses to export arms to Saudi Arabia as well as to cease new licences . In bringing the claim, the Claimant relied on Criterion 2 (c) of the ‘Consolidated Criteria’ issued by the UK Government in 2014, and set out in a written statement to Parliament. The ‘Criteria’ were issued following the adoption of the European Council Common Position 2008/944/CFSP (‘The Common Rules Governing the Control of Exports of Military Technology and Equipment’). Criterion 2 (c) states that the Government will not grant a licence for exporting Military Technology and Equipment if there is a ‘clear risk that the items might be used in the commission of a serious violation of international humanitarian law’ . A rationality review was carried out of the Secretary of State’s handling of the arms licenses, to establish whether he ‘was entitled to conclude on the evidence and advice available to him’ that there was no ‘clear risk’ of international humanitarian law (IHL) violations for the purposes of Criterion 2 (c) . The Claimant’s main argument was that the Secretary of State’s decision was irrational, as there was a large body of evidence linking Saudi Arabia with serious violations of IHL. This evidence created a presumption that there was a clear risk for the purposes of 2 (c) which, according to the Claimant, there was no compelling evidence to rebut . The Claimant presented a great deal of evidence, alongside a number of other NGOs acting as intervenors. The evidence included a January 2016 report by the UN Panel of Experts suggesting that the Saudi-led Coalition had been involved in the repeated violations of IHL – including the targeting of an ‘entire city in direct violation of international humanitarian law’ . The evidence also included a resolution passed by the European Parliament in January 2015 stating that the Saudi-led Coalition had been killing civilians ‘in violation’ of IHL  along with another resolution passed in February 2016. The resolution expressed ‘grave concern’ at Saudi-led Coalition airstrikes which, it stated, ‘have led to thousands of deaths, have further destabilised Yemen, are destroying the country’s physical infrastructure…and have exacerbated an already critical humanitarian situation’. The Claimant also presented reports published by the House of Commons Business, Innovation and Skills and International Trade Committees  and the House of Commons Foreign Affairs Committee . These reports expressed concern that there could be a ‘clear risk’ for the purposes of Criterion 2 (c). The joint report by the House of Commons Committee for Business, Innovation and Skills, and International Trade, Committees, included a direct recommendation that the UK suspend its licenses for arms exports to Saudi Arabia ‘pending the results of an independent, United Nations-led inquiry into reports of [IHL] violations’ . The Government’s defence was essentially double-pronged. First, it relied on the notion that the Government had a special epistemic advantage, over those claiming there was a clear 2 (c) risk of IHL violations, in terms of being able access accurate information on the situation in Yemen and the activities of Saudi Arabia. This advantage was linked to the UK’s close relationship with Saudi Arabia  – , and superior intelligence-gathering capabilities . It was also linked to the Government’s allegedly rigorous internal processes for keeping track of IHL violations for the purpose of Criterion 2 (c). Such processes included the maintenance of a database named the ‘Tracker’, which required ‘continual reviews and involves consideration and judgment at all levels within Government by officials with particular expertise to make those judgments’. . The Government also presented evidence to argue that Saudi Arabia had shown a willingness to comply with IHL. This included statements made by public officials in Saudi Arabia, which expressed a commitment to compliance with IHL and described policies in place to avoid carrying out IHL allegations  – . Other evidence included detail of Saudi Arabia’s willingness to engage with the UK on this issue  –  and the fact that it had established an organisation – the Coalition Joint Incident Assessment Team (‘JIAT’) – to investigate allegations of IHL violations  – . In finding that the Secretary of State had been entitled to conclude that there was no ‘clear risk’ that Saudi Arabia was using British arms to carry out serious IHL violations, the judges cited a range of reasons. For example, the judges stated that the evidence shows ‘beyond question’ that the ‘apparatus of the State, ministers and officials, was directed towards making the correct evaluations for the purposes of the Consolidated Criteria’ . It was stated that the Secretary of State was ‘reasonably able’ to address ‘gaps in his knowledge’ and to ‘test and assess the reliability of the United Nations’ and NGO’s findings’ regarding IHL violations . Specifically, in relation to the evidence presented by the UN Panel of Experts, the judges commented that the ‘sources used to compile the report were necessarily limited and are not qualitatively as sophisticated as the sources available to the MOD’ . The judges also stated the behaviour of Saudi Arabia, as shown by the evidence, meant that the Secretary of State was ‘rationally entitled to conclude’ that ‘Saudi Arabia has been and remains genuinely committed to compliance’ with IHL . Furthermore, the judges held that the Claimant’s case depended largely upon ‘inferring’ violations of IHL, on the basis of ‘reports of civilian casualties and damage’ . The judges also stated that IHL is ‘much more sophisticated that this’ and that the analysis of violations of IHL is ‘necessarily complex’ . There was also no detailed engagement with the European Parliament resolutions. Moreover, there was no in-depth consideration of the instances of Saudi-led Coalition strikes picked up by the Government’s own ‘Tracker’ – that were described as ‘incidents of potential concern’ and where no ‘legitimate military target’ has been found by the MOD . The judges merely held that the fact that the MOD had been unable to find a legitimate target did not mean that ‘in fact’ there had been no such target . The judges were careful to emphasise what they saw as a need for ‘considerable respect’ to be accorded to the Secretary of State. They emphasised various characteristics of the Government, which were said to place it in a much better position to make decisions in this area than the courts – including the fact that the UK Government had access to ‘considerable specialised knowledge’  and that the Government was ‘politically responsible’  for Criterion 2 (c) assessments, which were ‘matters of [judgment] and policy’ and ‘primarily matters for the executive’ . These statements echo commentary offered in cases such as Carlile and Bank Mellat. The judges made further commentary indicating a development in the approach to deference in this area of law. In reaching their conclusions, the judges stated that it was ‘instructive’ that the Secretary of State had ‘acknowledged’ the decision on 2 (c) was ‘finely balanced’ . The judges stated that such acknowledgment, on the part of the Secretary of State, pointed to the ‘anxious scrutiny – indeed at what seems like anguished scrutiny at some stages – given to the matter and the essential rationality and rigour of the process in which the Secretary of State was engaged’ . The judges noted that the Claimant expressed that they thought this acknowledgment would be a sign that the court would ‘more readily interfere’ with the Secretary of State’s decision . However, the judges emphasised that the ‘contrary’ was true, and that the statement in fact made them less inclined to interfere . Whether or not this is a welcome development, if it is a development, seems to turn on the meaning of ‘acknowledgment’ in this context. There would be something superficial about the granting of more deference due the Secretary of State merely describing a decision to be ‘finely balanced’. However, it is not clear on the basis of the judges’ reasoning on exactly what grounds the judge consider a decision to have been ‘acknowledged’ to be finely balanced. A noteworthy aspect of this case was the ‘voluminous’ evidence of a factual nature presented by both parties, which is not usually present in large quantities in judicial review proceeding . While the judges emphasised the need for deference in the case, the judges stated their approach in relation to the evidence was to establish an ‘objective view’ of the ‘quality, scope, sources and reliability of the numerous strands of open and closed evidence and materials’ . However, in the open judgment, an objective approach to the evidence does not seem to have been applied consistently throughout the case, and this seems linked to deference on the part of the judges. There are at least two instances where it might be argued that the judges fell short of pursuing an ‘objective view’ of the evidence in this case. The first relates to evidence presented in support of the Government’s view that Saudi Arabia has shown signs of being seriously committed to not carrying out IHL violations in Yemen. The bulk of evidence presented to support this were public statements made by Saudi Arabia officials, expressing a commitment to IHL, and describing processes the Saudi-led Coalition had in place to comply with it. As to the reliability of these statements made by the Saudi officials, the judges stated that they ‘saw no reason’ for the Secretary of State not to take these statements to be more than ‘mere aspirations’ . The judges also considered statements by Brigadier Assiri, the ‘official spokesperson’ of the Saudi-led Coalition, who also affirmed a commitment to compliance with IHL. The reliability of the statements made by Brigadier Assiri were not discussed in the open judgment at all. That the reliability or quality of this evidence was not discussed in the open judgment is unfortunate given the fact that many of the expressed commitments to IHL, made by both the Saudi officials and Brigadier Assiri, were stated before many of the confirmed mass civilian deaths caused by the Saudi-led Coalition which are alleged to be violations of IHL – such as the ‘Great Hall’ bombing of a funeral said to have killed over 100 civilians (see  ). The lack of open engagement by the judges with the uneasy relationship between such expressed commitments to IHL by Saudi Arabia, and the mass civilian deaths that followed them, suggests a lack of the scrutiny on the part of the judges which seems inconsistent with establishing an ‘objective view’ of the evidence. Similarly, the judges seem to have been held back when determining whether it reasonable for the UK Government to essentially overlook the findings of the UN Panel of Experts. The Government’s response to the UN report was essentially to try to discredit its findings and claim an epistemic advantage over the UN Experts. The judges seemed to have accepted that the UK Government did have an epistemic advantage on the basis of only a very cursory glance at the evidence . By way of analysis, the judges referred to the methodology described in the report produced by the UN Panel noting that it stated that the Panel had ‘conducted interviews with refugees, humanitarian organisations, journalists and local activists, and that it obtained commercial satellite imagery to assist in substantiating certain “widespread” or “systematic” attacks’. The judges went on to point out that ‘by contrast’, the MOD is ‘able to base its analysis on a wide range of information including sensitive MoD sourced imagery’ . Such a brief analysis does not seem sufficient to achieve an ‘objective view’ as to whether or not the evidence could be seen to establish the UK’s epistemic advantage. Especially in light of questions that the judges themselves seem to raise over the epistemic advantage of the UK Government in relation to the Tracker (where they argue that just because the MOD has not found a ‘legitimate military target’ for certain Saudi-led strikes does not mean that such a target does not ‘in fact’ exist, see  ). Of course, it is accepted that whether or not an issue has been scrutinised to a level sufficient to achieve an ‘objective view’ is clearly open to all sorts of debate. However, these seem like clear examples where such a view was not reached, on the basis that the judges did not seems engage at all with what seem like noticeable question marks over the quality and reliability of the evidence in hand. It is likely that the judges avoided applying particularly rigorous scrutiny in relation to this material, due to what many would see as appropriate deference on the part of the judges in the face of the complex factual evidence before them. Such deference is likely to be considered appropriate on the grounds that judges are probably not equipped with a sufficient level of expertise to dig deep into issues concerning the reliability of official statements made overseas or the comparative accuracy of intelligence-gathering by the UN vs. the UK Government. These kind of issues are likely to require technical expertise that are not usually associated with the judiciary. Certainly most judges themselves would not feel in position to take a strong view on these issues, and would likely be inclined to the Secretary of State. If deference was at play here, then this raises questions for future cases where judges are called upon to evaluate factual material of a similarly complex nature. First, there are questions about whether it is acceptable for judges to state they are taking an ‘objective’ approach to evidence, and yet ultimately defer to the interpretation of the evidence provided Secretary of State. An objective approach is presumably one which promises rigorous independent scrutiny of, rather than more of a glance at, certain factual material. Claiming to offer rigorous independent scrutiny of all material, yet in practice proving more of a glance at some of the material, can create problems, not only for the rule of law but also civil society. This is in terms of being able to hold the Government to account for whatever issue may be at stake. For example, the promise of rigorous independent scrutiny in relation to an issue such as the export of arms may well encourage an NGO to pool their limited resources towards litigation. Whereas they might otherwise focus more on other forms of political engagement, were it made clear that a less rigorous approach by the judges is actually what was on offer. A second, related question is whether it is appropriate to use closed material in relation to issues on which judges will ultimately defer. The use of closed material is often justified on the grounds that it gives the judges the opportunity to see all, or at least all important, material relevant for determining a particular issue. Again, the result of this is that, if used in relation to issues where deference is ultimately granted, it may create a false air of objectivity surrounding the case. This could mislead those concerned that the Government is being held to account on this issue. There is another related concern, which is that, in cases such as this, the judges may not often be compelled to examine all material that which could be considered relevant to determining the issue – due to the light touch approach taken to scrutiny due to deference. This can be seen, for example, with regards to the conclusions the judges reached as to reasonableness of the UK Government having taking itself to have an epistemic advantage over the UN Panel of Experts. The issue was not scrutinised to the point that the judges thought it relevant to judge the UN’s epistemic prowess beyond examining the written methodology provided in just one of their reports. However, it seems likely that a more rigorous approach, associated with achieving an ‘objective’ view, would highlight the need for additional information to make such a judgment about the UN – provided either by additional UN reports, or by independent experts. In this way, at least in this case, it seems likely that despite the presence of closed material, the judges did not examine all the material of importance for determining the case. This raises questions about the role of closed material in such cases, and in what circumstances it is appropriate to use closed material when it comes to determining issues about which judges are likely to defer to the Secretary of State. Finally, the uncertainty regarding the role of deference in the Campaign Against Arms Trade case raises a third question: whether there is scope for judges to provide greater clarity as to the influence of deference on specific issues in a case. It is accepted that in some cases, an involved articulation of deference may not always be possible (the concept of deference admittedly can raise thorny, and at times abstract, issues regarding the relationship between the organs of state). However, it is not clear that in all cases, judges are articulating the influence of deference in their reasoning to the greatest possible precision. On some matters, such as risk assessments in national security cases, the courts have been clear that they will be particularly deferential to the Secretary of State (for example, see MB v Secretary of State for the Home Department ). However, some judicial discussions of deference can be brief and fairly general, mentioned once at the outset of the judgment. In these cases, little clue is given to the influence of deference with regards to the (sometimes many) separate conclusions judges have reached along the way to making their overall decision. Greater clarity on deference in relation to specific issues may shed light on whether, in particular cases, the granting of deference ended up influencing issues which essentially decided the case in favour of the government (as some may argue occurred in Campaign Against Arms Trade case). It would also help future claimants to predict with better accuracy whether and to what extent deference might be applied to similar issues in future cases. More clarity on the application of deference in this way would therefore be very welcome. Presumably, the question as to whether or not more clarity is possible is likely to be one that ultimately judges must answer. Ideally, it would be a question that is kept constantly under review. The author would like to thank Professor Jeff King for his helpful comments on the piece. Any remaining errors are the author’s own. 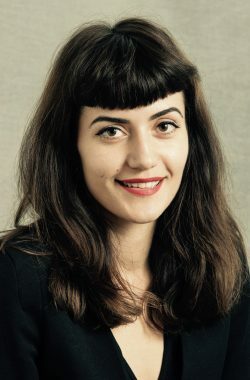 Daniella Lock is a first-year (ESRC) PhD student at UCL Laws. Does that mean if someone can keep IHL violations ‘off balance sheet’ then it is business as usual? Could there be a case where only one IHL violation brings the whole system into disrepute? This entry was posted on July 20, 2017 by Constitutional Law Group in European Union, International law, Judicial review and tagged Campaign Against the Arms Trade, Deference, Saudi Arabia.